When it comes to making home improvements to increase the value of your home, not every project is created equal. While some popular remodels, such as updating a kitchen, have wide appeal in every housing market, other remodels are surprisingly unlikely to recoup the investment a homeowner puts into them. 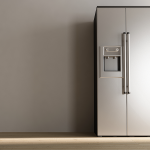 Appliances are one area in which you may not want to simply throw in as much money as you can, as a more nuanced approach can give you a better return on investment. It goes without saying that having old, cheap, inefficient appliances won’t do anything for your home’s appeal or value. It does not automatically follow that you would want to splurge on the most expensive item in each category if you decide to replace them, though. You want to make sure, first of all, that the quality of appliances you are buying is consistent with your home and with the neighborhood in general. If you live in an exclusive area where Sub-Zero refrigerators and Viking ranges are considered standard, then your kitchen should include a similar quality of appliance for you to realize the full potential value of your home. But if you live in a more modest neighborhood, such high-end appliances are unlikely to contribute significantly to boosting your home’s value, and you probably won’t recoup the money you put into them. Another factor to consider is consistency. Ideally, all of the appliances in your home will be of similar quality. That does not mean that you absolutely have to stick to one brand when purchasing, but you should be looking to ensure that the level of features that each appliance offers is more or less equal to the other appliances in your house. Buyers may not fully appreciate—or be willing to pay extra for—the excellence of your professional-quality stove, for example, if the rest of your kitchen appliances are the basic models. According to Orange County based Sea Point Construction, if you’re investing in appliances primarily to boost your home’s sale value, stay away from trendy finishes or truly unusual features. You’re better off going with timeless, classic looks, even if they don’t seem quite as exciting, and making sure you have the standard features that any homeowner would expect to have covered. After all, you want to make sure to have the widest possible appeal for prospective buyers. If, on the other hand, you’re planning to stay in your home, then you should also take into account your own personal tastes in deciding whether or not to buy high-end appliances. While they may not truly increase your home’s value, high-end appliances could be a worthwhile purchase if they contribute significantly to your enjoyment of your home. Consulting an expert remodeling company is a great way to find out which improvements can best boost the value of your home. Contact an experienced home construction company to get started on transforming your dreams into reality.